How do I get into Dungeons and Dragons-Part Two - The Guild Hall Cluj - Board games anticafe. Cowork. Events. How do I get into Dungeons and Dragons? Welcome to the second article in this Dungeons and Dragons series. This part is dedicated to giving you a rough guide on how to begin your wonderful adventure in the fantasy world of the Forgotten Realms. The previous article deals with some general notions and gives you some tips on how to test the game with little to no money investment. Now we will dive deep and go through some of the products released by Wizards of the Coast. Of course, giving you my opinion on how useful they are for your first steps into this hobby. Before we start, let’s establish a very important thing. The current edition for D&D is the 5th edition (or 5E as it appears on some products) and we will be talking only about this edition. In short, this is the best way to start. As the name suggests, this little box contains all you need to start playing with your friends. Inside, you get a light edition of the Dungeon Master and Player rulebooks. It’s incomplete but perfect for what’s in the box. You’ll also find dice and pre-generated characters so you can jump right in the game. It also includes a ready-made adventure that will introduce the players to the game. The adventure itself is extremely well written. It has all the flavor you would expect from a D&D story. All in all the starter offers amazing value for the price. It has received many awards from the game industry in recognition for this fact. This is the base book for players. It contains a huge number of races and classes, feats and skills, backgrounds and story ideas. All of this will allow you to create your dream character that will represent you in your adventures. You will also find the rules on how you level up when you get enough experience points and what you will get as rewards when you reach a new level. A big chunk of the book is dedicated to explaining how all the spells in the game work and how to use them. Compared to the version in the starter set, a lot more information is contained in this tome. It’s a must-have for all those who decided they want to play this game with all the options available to them. Even though other books will also contain additional options for players, this is the base book that comes with the most popular and well-known options in the game. As stated in the first part of this series, one of the players will have to assume the role of the Dungeon Master. He will take the responsibility of running the world for the other players. 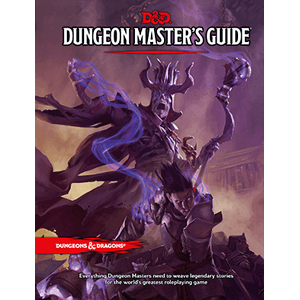 The Dungeon Master’s Guide comes packed full of useful ideas and tools for the DM to use and create fun adventures. For example, you will find tables with items and magical artifacts and how to use them. You’ll also find encounter ideas and suggestions, options on how to spend money when encountering merchants. It will give you ideas on how to use the free time the adventurers will have between battles and exploration forays. It even offers ideas on how players can create and run their own business ventures or even small forts and castles. All in all, this is a wonderful source of inspiration on how to create and run a fantasy world complete. All this with complex characters that inhabit it and interesting locations to explore and conquer. 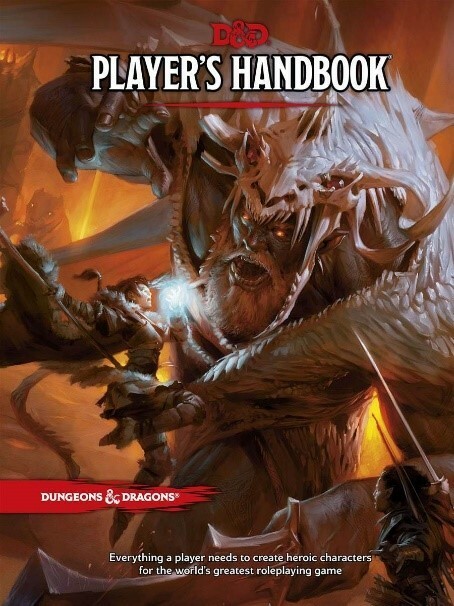 To sum it up, if you want to run a campaign (a series of linked adventures that will take your players from the lowly level 1 to the height of their power and influence), this book is a must-have. Monsters, enemies and maybe allies. This book contains a staggering number of creatures. all of them complete with stats, backstories and ways to employ them. Additionally, all are classed and ordered by their threat value and the danger they pose to your players. You now have a very diverse menagerie at your disposal to populate the dangerous parts of your world. 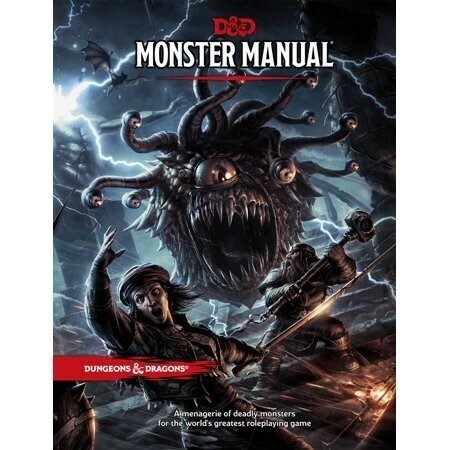 From very well-known monsters like Goblins and Orcs, to more exotic creatures like Beholders and Rust Monsters, the Monster Manual contains a creature for any occasion. Absolutely necessary for any DM, this book makes it easy to run any encounter. A simple read of the book will give you tons of ideas for future adventures and plot hooks. It’s interesting to note that the book contains stats for mundane animals and normal, not monstrous, creatures as well. These animals can make your cities and villages come to life. Merchants, nobles, bandits, blacksmiths and villagers are all part of this amazing tome that will make your life as a DM a lot easier. Of course, all of this is just the starting point. 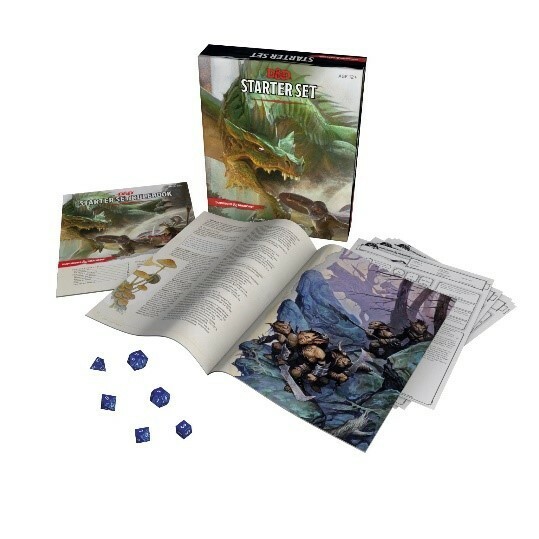 These are the products you should start with when you have decided that Dungeons and Dragons is a game that you like, and you want to invest in it and go deeper. There will be a third part to this series, where we are going to talk about extras you can add to your growing collection. I’m talking here about maps, official adventures, miniatures and many more.